For a fresh burst of colour to add to the magic and romance of your wedding day choose a bouquet of pink lilies. 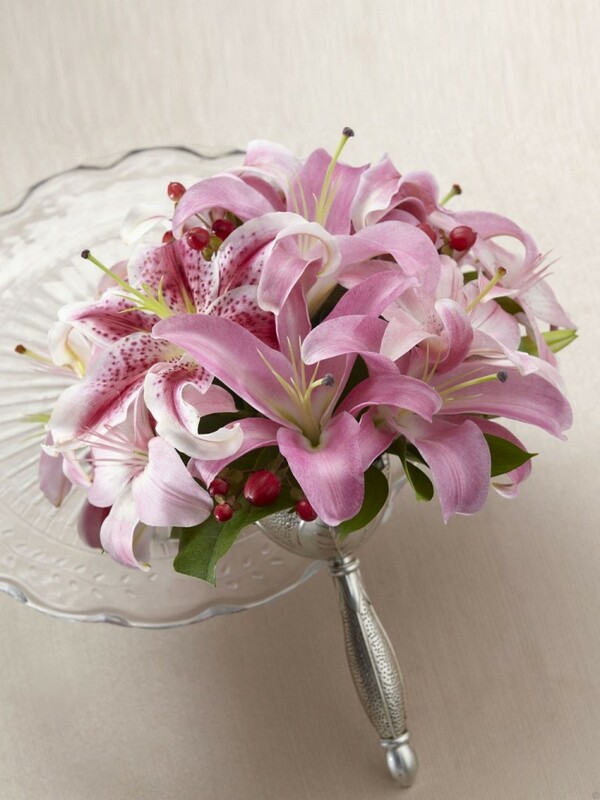 oriental lilies and asiatic lilies are brought together with eye-catching stargazer lilies, all beautifully accented with red hypericum berries and lush greens. Presented in a silver metallic bouquet holder to give it a finishing touch, this bouquet is a delightful display of fragrant floral elegance. Approx. 12"H x 11"W.